Need a bail bond in Newport Beach call Sean Cook. We have been writing bail bonds in Orange County for over 20 years. Newport Beach is one of our specialties. At Premiere Bail Bonds we provide you with the professional expertise you need at a time like this. All of our agents are trained in customer service, and have gone through many customer service training programs. We guarantee satisfaction to all of our clients and will work with you every step of the way. Much of our business is based on our relationships with our attorneys. These are the same attorneys we see in the news and in some high profile cases. Our attorneys refer clients to us because they trust us. They know what to expect and they expect the best when it comes to servicing their clients. 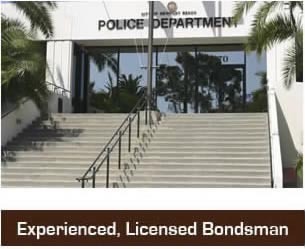 Premiere Bail Bonds Newport Beach is there to assist you with all of your bonding needs. If you need information regarding a person in custody in Newport Beach Jail call us 24 hours at 1-800-662-0056 . A professional bail agent is standing by waiting for your call. We can also help you in near by Huntington Beach or Laguna Beach to the south. The Newport Beach Jail is located at 870 Santa Barbara Drive at Jamboree. Once the jail has received a bond from us the defendant will typically be released within10 minutes. For assistance with a Newport Beach Bail Bond call 1-800-662-0056. Newport Beach is home to many tourist attractions like Newport Beach’s Pier, Fashion Island and Balboa Island. If a family member has been arrested in Newport Beach, you should know that there is help close by. Premiere Bail Agents are close to the jail, and once we post a bond, we can usually have your loved one released within 15 minutes. Our professional bail agents are ready to take your call and make the bail process stressless for you. Call us NOW at 800-662-0056. Freedom is just a phone call away...24/7. The Newport Beach Jail is one of the most modern jails and their release process is only about 15 minutes. Typically they transfer inmates to the Orange County Jail within a couple of hours if they are not going to be bailed out.